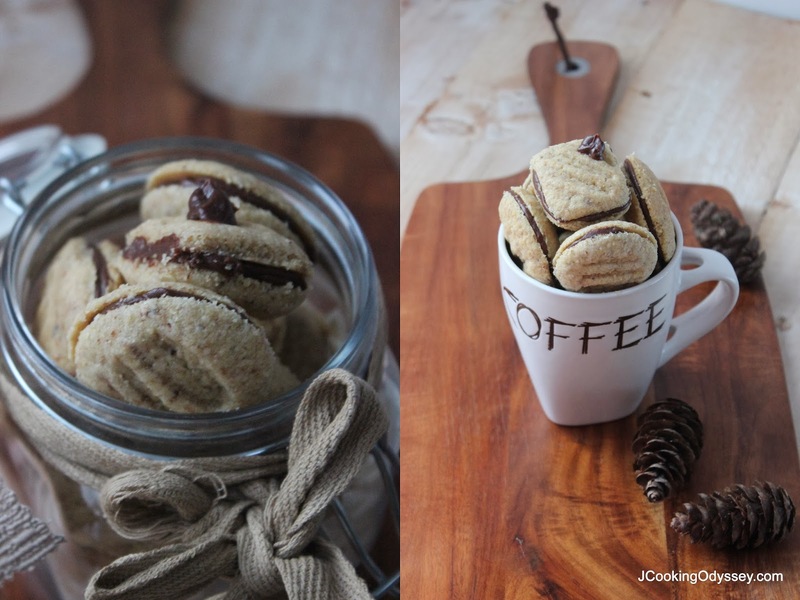 Jagruti's Cooking Odyssey: Wheat Germ Mocha Cream Cookies ~ Merry Christmas ! At one time there was a myth in Gujarat that baked food was unacceptable, people avoided bread or biscuits as they always believed that baking includes eggs and to consume it is against their religion especially for Hindu community. However, you'll be surprised I've seen few families in the UK who do not consume bread even in todays date ! My dad used to be baker in one of the small bread making company in early 1960, he knew what goes in the baking. He was telling me it was very hard to sell those products in those days, him and his colleagues used to go out late at night, and sell those products to other community, as there was a fear if they sell during the day time they could be attacked by someone. It took long time to convince some of the people that baking doesn't involve eggs always, few bakeries started calling them at their premises and demonstrated few recipes and asked them to bring their own ingredients and while they wait at the bakery they bake biscuits and cookies for them. People trusted them in baking after that. Although my dad was baker, we never baked anything in the house, we didn't have any appliances to bake, I baked my first cake when I was around 17-18, of course not in the oven, on the stove ! It was a disaster. So baking is not my first preference, but now is that time when baking season is in full swing I have joined in baking spirit too. Past couple of weeks I've shared few baking recipes, barely sweet, so thought of baking one of the sweet confection that I know will please my kids ( Promised them one of the treat ) and you readers too. 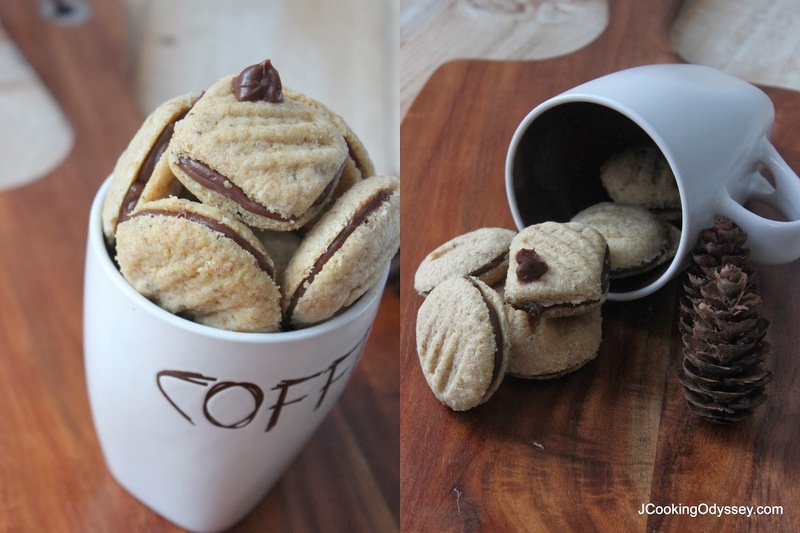 Wheat germ mocha cream cookies, so simple to make. There is no special ingredient or technique involved. Coffee and Chocolate a match made in heaven, awesome enough, delectable cookies for you guys if you like something sweet, or your sweet ones like something sweet ! Add mocha powder into cream, mix and leave it aside. Melt chocolate in double boiler or M/W. Mix melted chocolate and mocha infused cream, mix and leave it aside. Place butter, icing sugar and vanilla essence in a mixer , cream until light and fluffy. Add flours, wheat germ and coffee and mix until soft dough forms. Cover with the cling film and leave in the fridge for 40-50 minutes. Pre heat the oven gas mark to 3 or 160C. Divide the dough into small balls, around 10-12 g each. Place them on a baking tray, slightly flatten them with the fork and bake 15-18 minutes or until light brown. 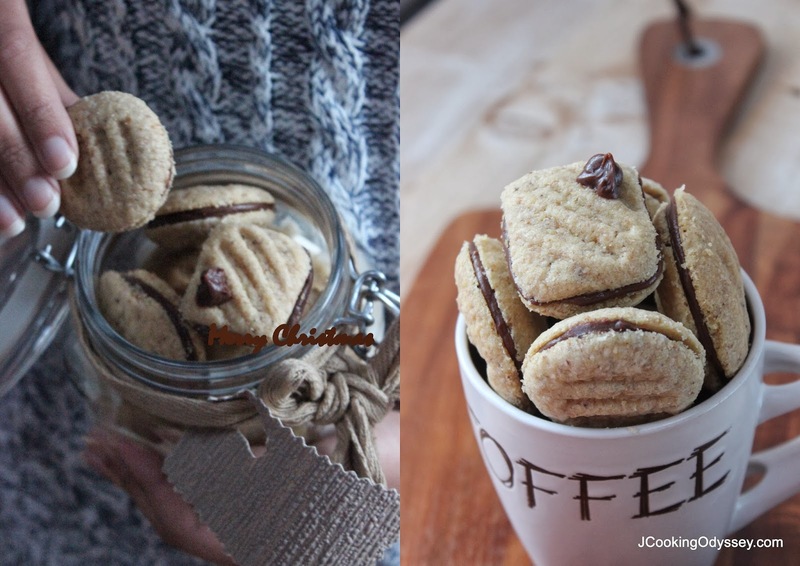 Pipe or spread about one tea spoon one cookie with mocha filling, top with another cookie. Repeat with all remaining cookies and filling. Leave it aside to set for half an hour. Hi. How much icing sugar did you put in? Hi Jayshree, thank you for letting me know that I totally forgot to include icing sugar :) It was 60g.